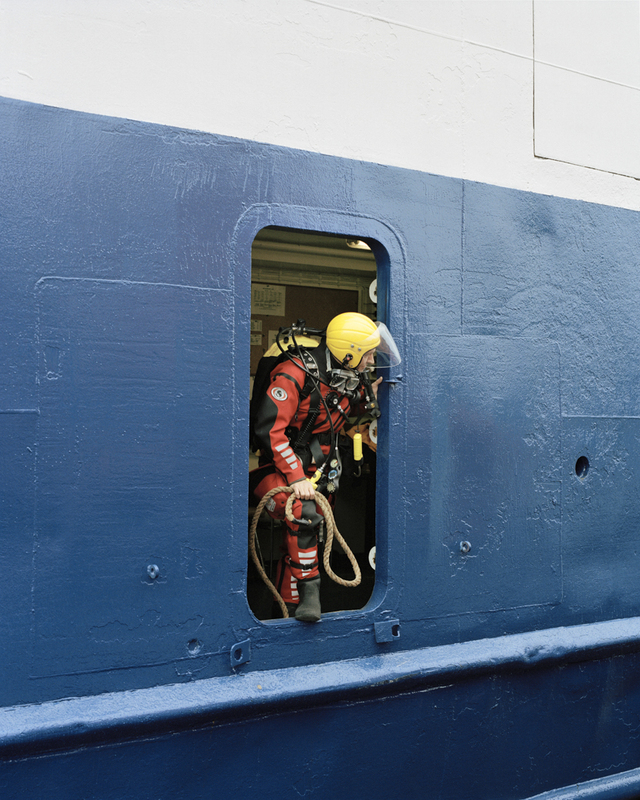 Primary Colors is a photographic project comprised of historical images and images of our time, and narrates a rescue mission of the Icelandic Association for Search and Rescue. During a three-month residency in Iceland, the artist met with key members, participated in rescue exercises and researched archival material such as newspapers, photographs and yearbooks at The National Archives of Iceland. By revisiting archives, she was able to make historical connection with the present, and she used documentary photography to reinterpret how the past was represented. Catherine Canac-Marquis is a photographer and visual artist living and working in Montreal. She holds a BFA with Distinction in Photography from Concordia University. In 2016, she was one of three Canada-wide AIMIA | AGO Photography Prize Scholarship recipients, and in the spring of 2017, the Proof 24 annual exhibition of emerging Canadian artists at Gallery 44 - Center for Contemporary Photography in Toronto showcased her works. She was also a recipient of the Canadian Flash Forward’s 2017 award for emerging photography from The Magenta Foundation.